What if we told you that there was a way to take the already-great Beaver Builder page builder plugin and…add a bunch of helpful functionality and new modules? Sounds cool, right? Well, that’s exactly what Beaver Builder add-ons can help you do. Want shadow borders for your image galleries? Checked. Need specific elements and buttons for an online store? Easy. And you can do lots more thanks to the many Beaver Builder extensions out there. In this post, we are going to talk about the most awesome plugins that bring such functionality to your favorite page builder. The add-ons are diverse and multipurpose; some come for free, and some only work if you upgrade to the premium version. Most of these plugins give you access to additional modules, though one is more focused on theme building than just adding new modules. Then, when you use the normal Beaver Builder interface, you’ll see all of the modules available in the Beaver Builder sidebar. 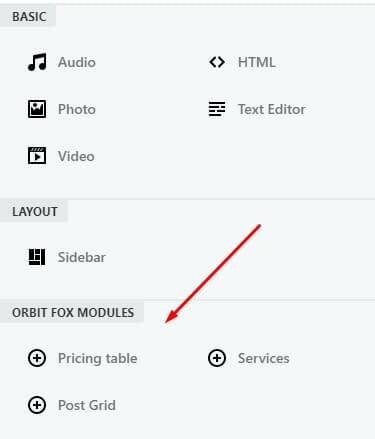 In addition to its extra Beaver Builder add-ons, Orbit Fox also includes a number of other helpful features that aren’t related to Beaver Builder. For example, you can also monitor the uptime/downtime of your website, add social sharing icons, integrate Google Analytics, import free stock photos from MyStock.photos, and install free ready-made templates. Three new Beaver Builder modules: Pricing table, Services, and Post Grid. 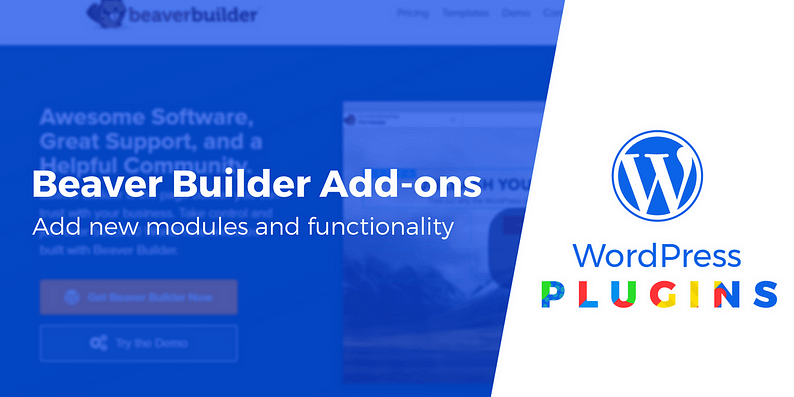 This plugin comes with tons of add-ons and modules for your favorite page builder, but only a few come in the lite version. By a few I mean ten, which is still awesome; the package gets huge in the premium version. If you still want to unlock more add-ons, the first premium plan starts at $69 (one-year license) and offers 40+ modules in total (counting the free ones too). Once you activate the modules, they’ll be available in the normal Beaver Builder interface, just like Orbit Fox. Template Cloud with 300+ page and section templates. Live Preview while still in editing page. Easy enable and disable options for modules. Optimized for performance and speed. Each category contains both free and paid add-ons (the ones that are included in the lite version are marked with ‘Installed’). 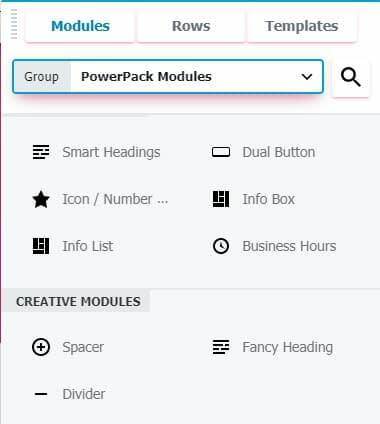 Apart from the modules and extensions, PowerPack also provides tons of Beaver Builder templates for all types of businesses. 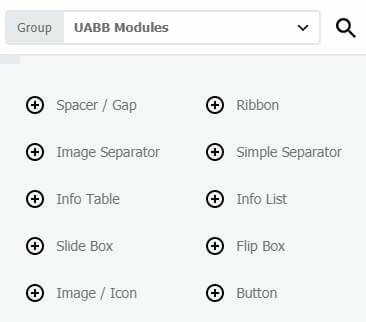 To have access to the modules, you need to go to the Beaver editor and click on PowerPack modules in the sidebar’s drop-down menu. 50+ powerful modules (of which 9 are free). 250+ Beaver Builder page and section templates for businesses. One-click preview on front-end for Beaver Builder. Toggle between Grayscale and Colored row templates. Dynamic template library in the back-end. This one is a free plugin that lets you add your own header and footer that you can build via the Beaver Builder editor. To create a header or a footer, you simply need to design a new page like you would normally do and save it in the drafts. 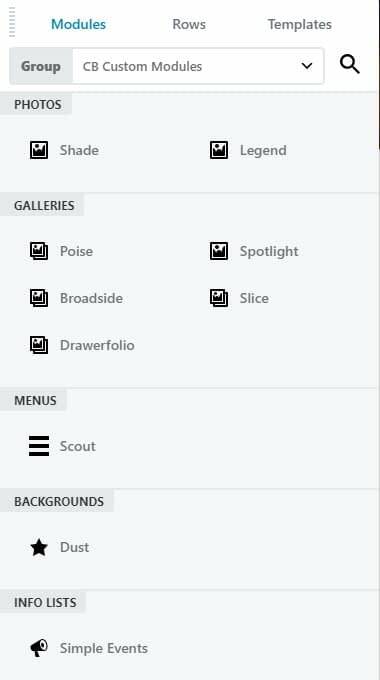 In order for Beaver Builder Header Footer to work, you must have one of these themes installed. Once you’ve created a header or footer, you go to the Beaver Builder page builder settings and click on BB Header Footer. Here, you can select the header and footer that you created and customized in advance. Once you’re done, save everything and you’re set. Lets you use fully customized headers and footers across the website. You can design your footer/header from scratch. The plugin allows you to use any page you saved on the blog as header or footer. Comes with a set of header settings: transparent, sticky, shrink etc. All the modules can be seen ‘in action’ via their live demo pages. The cheapest plan costs $59 per year and includes support, white label option, and unlimited personal and clients sites. Four layouts for the product grid: Quick View with filtering effects, pagination, parallax grid, description box. Four styles for single product pages. Easy to use design options for call-to-action buttons. Color options for all elements. Multiple carousel layouts for related products and featured products. This one is another free package of Beaver Builder add-ons, providing 13 nice modules for extended website functionality. The cool thing about this plugin is that, if you don’t like any of its free Beaver Builder add-ons, you can create a custom one for a given price that the developers will decide upon based on the complexity of your requirements. To do that, you need to fill out the detailed form on the plugin’s official website. The custom module service is actually what defines Crafty Beaver Custom Modules, but if you’re just looking to enlarge your Beaver Builder add-ons collection, you might want to check the ones the plugin provides for free. Another thing to keep in mind is that some of the modules might require the Beaver Builder premium version. So after installing Crafty Beaver Custom Module, go to Beaver Page Builder in the dashboard -> Modules and you’ll see the extra add-ons listed there. Free modules for menus, photos, photo galleries, background effects, and information lists. Here’s one more tool that provides a bunch of nice Beaver Builder add-ons for free (though there’s a premium option as well). The free package contains 13 modules for various purposes such as services, posts, portfolio, pricing, testimonials etc. In order to activate the add-ons, you need to follow the same procedure. 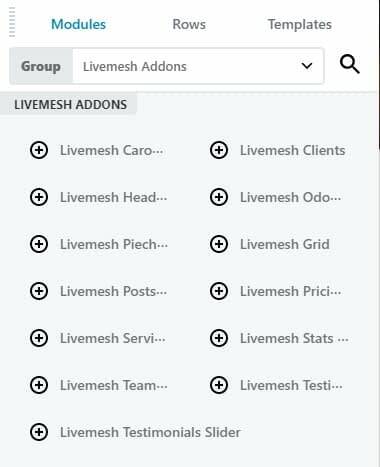 Start a new page via Page Builder, select Livemesh Addons from Modules tab, and drag them to the empty ‘canvas’. The modules are modern and can be customized with ease. Also, the plugin’s dashboard page is user-friendly and lets you change the default color theme and write custom CSS to style your new modules. To get twice as many modules and additional features, you can upgrade to the premium version at $39 per year (includes 25 add-ons and 50 styles in total). A dark version for almost all the elements (aka display in a dark or image background). Sample data to help replicate the demo site. Styles and variations for the widgets. These are our picks for the best Beaver Builder add-ons for extended website functionality. From media elements to styling and design, WooCommerce, content, and business-related sections and boxes, you can extend your existing Beaver Builder interface even further. Did you get the chance to try any of the modules? If there are other great add-ons that we missed, drop us a line via the comments section below and tell us how they worked for you.